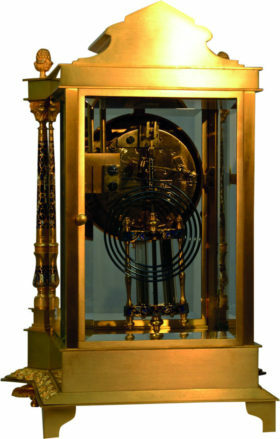 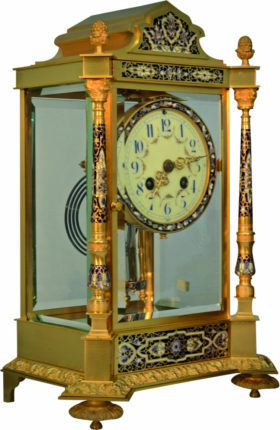 This French crystal regulator clock is housed an exceptional architectural form case with beveled glass panels. 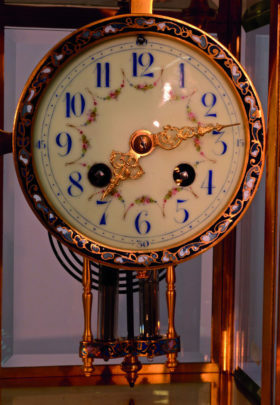 This piece is made of beautiful gilt brass and Champlev enamel featuring a delicate floral motif accenting both the case and dial. 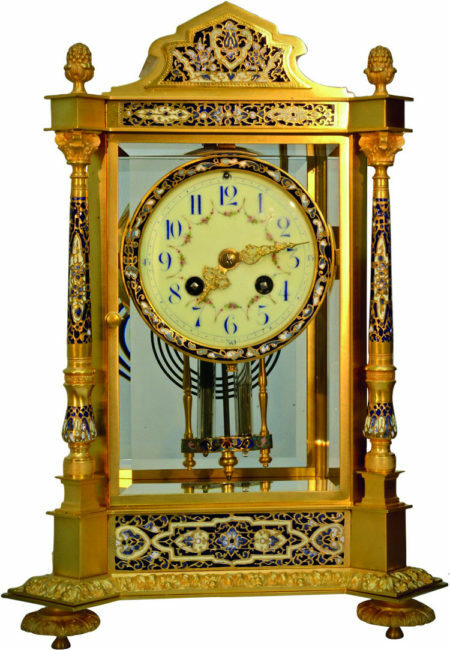 The clock itself houses an 8 day movement on a gong strike, as well as a temperature compensating pendulum and a painted porcelain dial.